Fred Hassan is the chairman of Bausch + Lomb. He was elected to this role in March 2010. 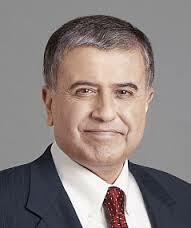 Mr. Hassan is the former chairman and chief executive officer of Schering-Plough Corporation. He serves currently on the boards of Avon and Time-Warner, and is a senior advisor with the private equity firm Warburg Pincus. Hassan was chairman and chief executive officer of Schering-Plough Corporation from 2003 until its merger with Merck & Co. in November 2009. He previously served as chief executive officer and as chairman and chief executive officer of Pharmacia Corporation from 2001 to 2003 until its acquisition by Pfizer Inc. Mr. Hassan is also the former chief executive officer of Pharmacia and Upjohn Inc., which merged with the Monsanto Corporation to become Pharmacia Corporation in 2000. He is a member of The Business Council, and is the past chairman of the board of directors of the Pharmaceutical Research and Manufacturers of America (PhRMA). In February 2013, he released “Reinvent: A Leader’s Playbook for Serial Success,” in which he explains how to transform a struggling business into a raging success by reinventing the culture, attitude, and behaviors of organizations and people. He holds a bachelor’s of science degree from the Imperial College of Science and Technology at the University of London and an M.B.A. degree from Harvard Business School. Do you want to hire Fred Hassan? Directly request a quote. In 48 hours we can send you the availability of Fred Hassan If you would like to book Fred Hassan, Entertainment Booking Agency is the right place. We will offer you the best price and contact the management or we directly contact Fred Hassan. For corporate appearances or speaking engagements you can contact our agents and the will help you true the process. Tags: hire Fred Hassan, Fred Hassan booking, book Fred Hassan, Fred Hassan appearances, find more information on booking Fred Hassan for appearances, Fred Hassan speaking engagements, Fred Hassan endorsements/spokesperson, Fred Hassan appearance fees, Fred Hassan booking agency contact info, biography of Fred Hassan, Contact an artist booking talent agent find a speakers bureau that can book Fred Hassan, speaker booking agency for Fred Hassan, Fred Hassan booking agency, Fred Hassan booking for corporate event. EBA is one of the biggest entertainment booking agencies in the World. We book hundreds of celebrities, artist, athletes and speakers in a year. Important to know is that we are not claiming to be the management of Fred Hassan. We are not the official agent for Fred Hassan. Companies from around the globe book these artists and speakers true our company be course we have one of the biggest networks and we always have direct contact with the artist or the management. We help you to find the right celebrities for your corporate of private events. Please contact one of our agents to get free advice and we will help to get the world-famous artist on your party.